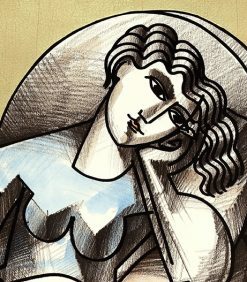 “Celebrate yourself, your timeless stories and emotional connections that etch your life’s journey. Our conditions are universal but the life’s etchings are like thumb prints, unique and iconic to each of us.” exclaimed Yuroz. 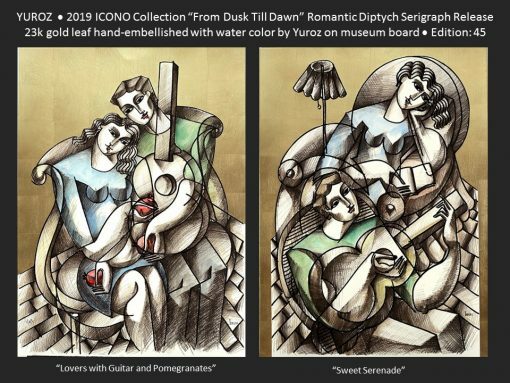 “From Dusk till Dawn” is derived from an original charcoal diptych where the artist celebrates life’s sweetness when two lovers connect before day breaks (represented in “Lovers with Guitar and Pomegranates”), and relax after the evening rolls in, exchanging their heart songs (represented in the “Sweet Serenade“), sharing this eternal path of joy and love of life and for each other. This 2019 ICONO Collection Serigraph diptych release added the luster and warmth of 23K gold leaf to the architectural composition of the original charcoal drawings. 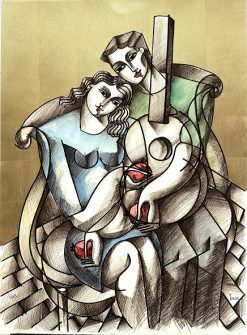 The watercolor hints the romanticism of everyday life. With the flattened images presented by the artist’s soft cubist rendering, this is Yuroz’s latest invitation to his viewers to find elements represented in this lovers’ story to connect with. 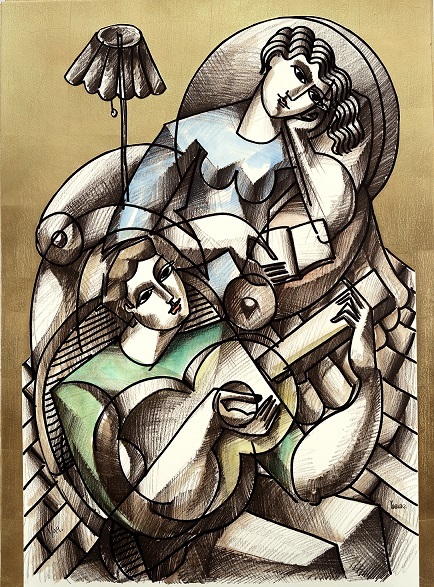 "Sweet Serenade" 2019 release limited edition serigraph	 Price on request. 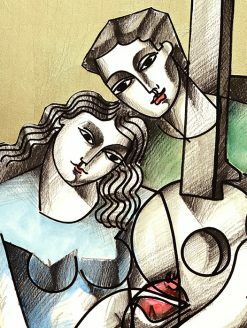 "Lovers with Guitar and Pomegranates" 2019 release limited edition serigraph	 Price on request. 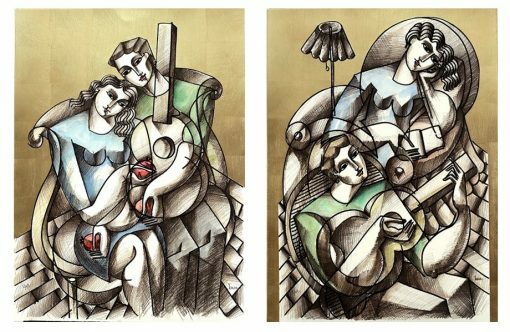 Two limited edition serigraphs on museum board with 23K gold leaf and original water color. Edition of 45. Sold together and separately. 30 x 22 inches (76.2 x 55.88 cm) each. Dance with the Pomegranates Serigraph with 23K Gold Leaf, Ed:75 (inquire about special water color medium) Price on request.